Did you know Gallery Funaki has been recently renovated? The Lunatic Swing is Gallery Funaki's latest exhibition, featuring six artists who met and studied at the Academy of Fine Arts, Munich: Attai Chen, Carina Chitsaz-Shoshtary, Sungho Cho, Laura Deakin, Melanie Isverding and Emma Price. 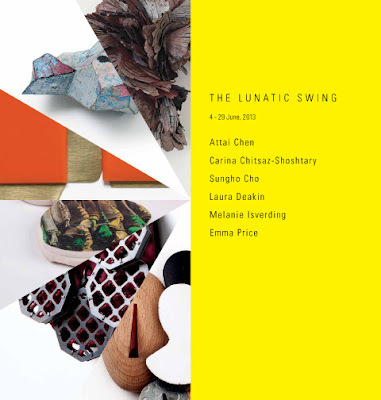 The Lunatic Swing is on now, until 29 June.